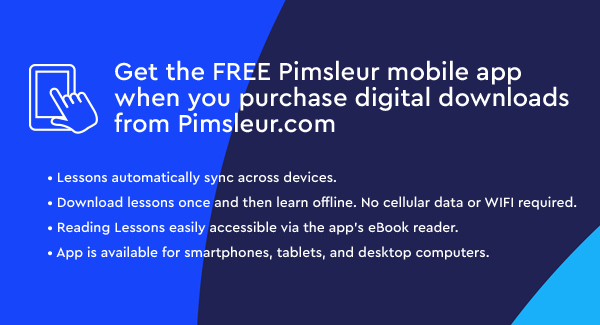 Pimsleur includes 150, 30-minute audio lessons, reading instruction, and Culture Notes as streaming or audio download, plus 5 integrated Reading Booklets and 3 Culture Notes Booklets. This program includes all of Japanese Levels 1, 2, 3, 4, and 5 – over 84 hours of spoken language practice and nearly 7 hours of reading instruction and practice. 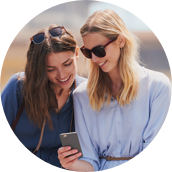 With this program you start from zero, learning first survival phrases and vocabulary, and eventually progress to a high-intermediate level of speaking and understanding Japanese. By Level 5 the pace and conversation moves quite rapidly, accelerating exposure to new vocabulary and structures, approaching native speed and comprehension. You’ll learn to speak more in-depth about your personal life and emotional state, and be able to create complex sentences using a mix of tenses and moods. The emphasis is on pronunciation and comprehension, and on learning to speak. One hundred reading lessons are included in this program. In this course you will to learn to read the hiragana and katakana alphabets, plus selected kanji characters. Each Level’s Reading Lessons will teach you the sound of the characters and then how to sound out words, phrases and sentences. These lessons are designed to deepen your memory and understanding of learned vocabulary, as well as to begin the work of connecting the words and phrases that you've learned to the Japanese writing systems. One hour of recorded Culture Notes are included in Levels 1-3 after the Reading Lessons. These Notes are designed to provide you with some insight into Japanese culture. Japanese is spoken by about 130 million people, 122 million of whom are in Japan. There are also speakers in the Ryukyu Islands, Korea, Taiwan, parts of the United States, and Brazil. Japanese has many “registers” or levels of politeness. 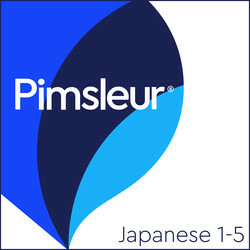 Pimsleur’s Japanese courses will teach you how to speak at a polite register, which is appropriate in virtually any situation you are likely to encounter in Japan. In Level 5, you will continue to learn some ways of speaking in a less formal manner, used in conversation between friends, family members, or colleagues who are at the same level in an organization.